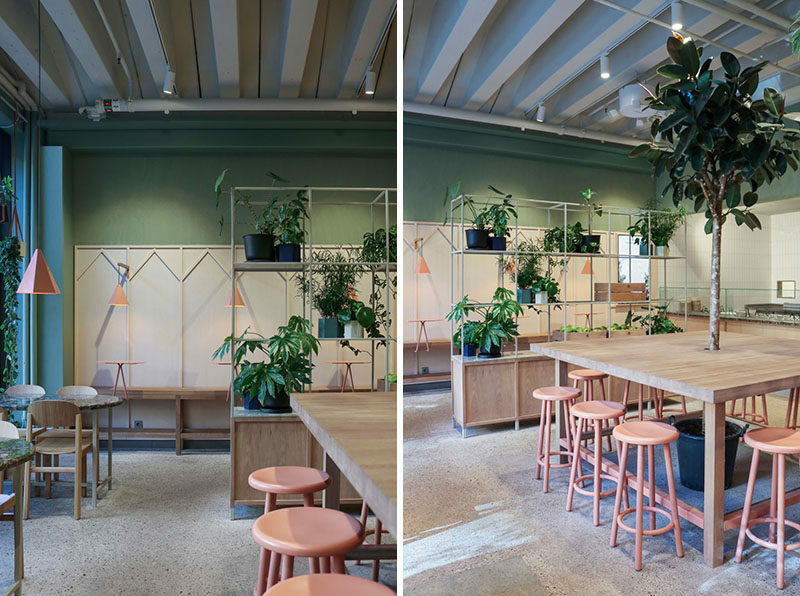 Stockholm-based architecture firm Blank has created an interior with a set of custom furniture for Holy Greens, a salad bar that’s located in Stockholm, Sweden. 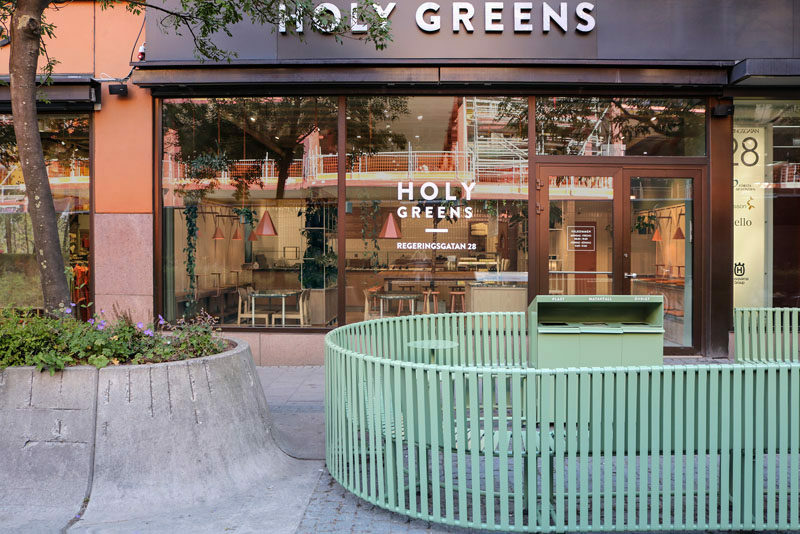 Before entering Holy Greens, there’s an outdoor area that provides guests with seating and protection from the busy street. The shape was inspired by the adjacent pill shaped concrete planters that line the sidewalk. 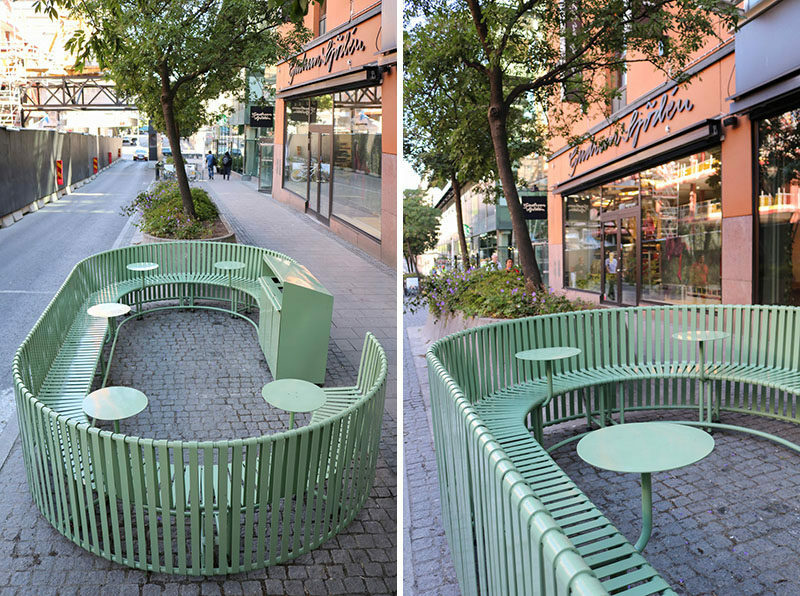 Created from green painted steel, this sculptural addition to the streetscape integrates seating, tables and recycling into one communal seating area. Inside Holy Greens, the design reflects the restaurant’s ethos of ‘simple ingredients combined in innovative ways’. A limited palette of oak, green granite, metal, leather, concrete, and greenery are combined to create a set of large-scale custom furniture pieces. The community-style oak table features a tree at the centre, while open grid shelves are used to subdivide the space using green plants. 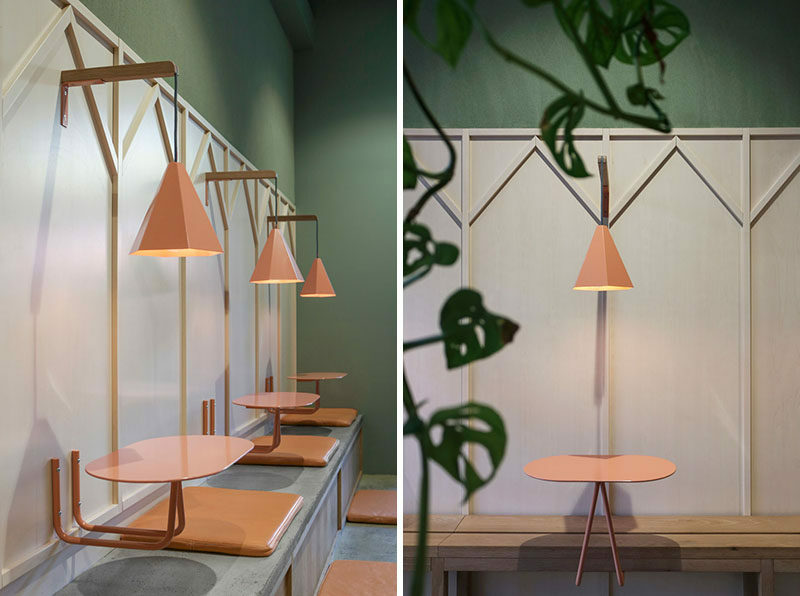 The walls are lined with long oak and concrete benches, and wall-mounted salmon pink tables and lights.